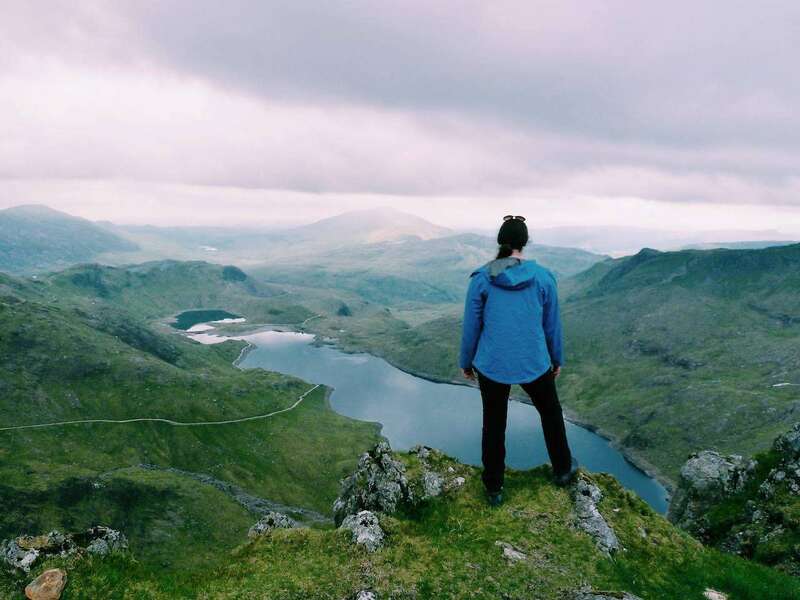 Q&A: I’m planning a hiking trip to Snowdonia – what should I pack? 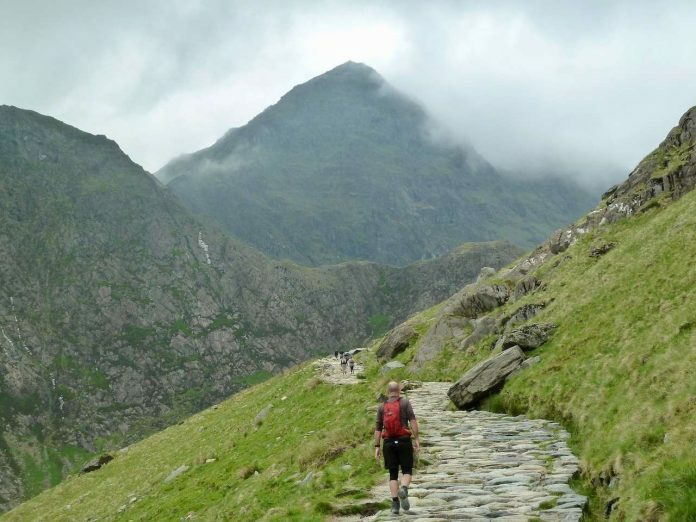 Planning a walking holiday in Snowdonia this summer? Here’s our guide on what to wear and the kit you’ll need to carry with you. Snowdonia is blessed with breathtaking scenery and is home to Mount Snowdon – the highest mountain in England and Wales. And of course ramblers, hikers and climbers flock here to enjoy the varied terrain. Yet many turn up without the appropriate clothing. Several times people have had to call the emergency services because they tried to climb Snowdon wearing flip flops. Adam also suggests you check the weather forecast, “use a reputable and suitable mountain forecast source such as the Met Office and Mountain Weather Information Service. Are you a trekking fan? Click here for a selection of trekking articles. Here, we put together our ultimate kit list for a trekking holiday to Snowdonia in the Summer/Autumn months. Whatever the weather, bear in mind that temperatures will drop the closer you get to a mountain summit. It’s also important to pack reasonably light, as trekking is tiring work and you don’t want to be lugging around the equivalent of a small elephant on your back. If you don’t already have some outdoor clothing pop into a specialist shop such Rohan in Covent Garden, a British designer of outdoor clothing and shoes and pick up these items. Base layer: If it looks like it’s going to be a warm/sunny day, then a single base layer will be just fine for the start of your trek. Choose one in stretchy and breathable material, as hill walking is sweaty work. If the weather is cooler, then you’re better off layering, perhaps starting with a long sleeve top. You can always remove one if you get too hot. Walking trousers/shorts and belt: Walking trousers are extra stretchy and will also help protect your knees from bumps and scrapes when attempting rock climbs or scrambles. 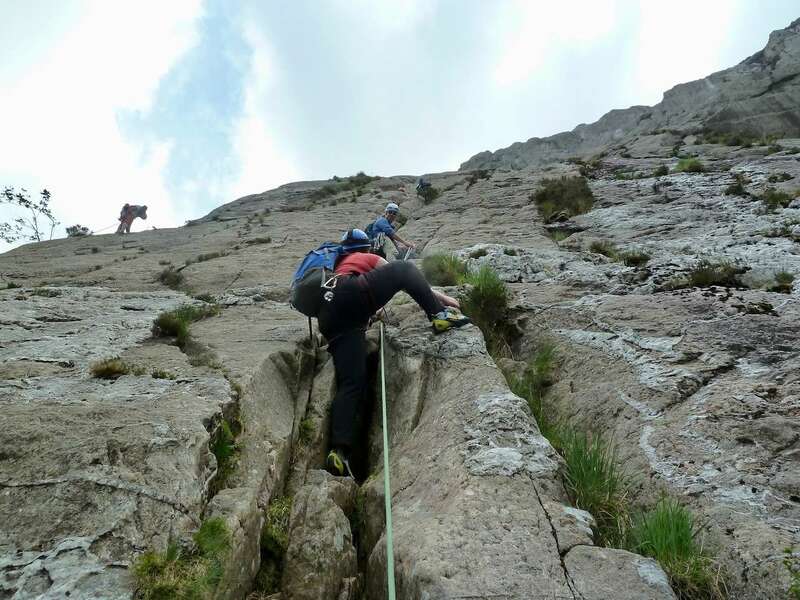 On a recent trekking trip, I wore the ingenious Rohan Troggings while climbing the Ordinary Route in Snowdonia. They were both incredibly comfortable and stretchy enough to allow total movement as I attempted the 45m climb. They also can also be tightened at the waist with an elastic tie so they don’t risk falling down. Shorts are great for warmer weather, but opt for the longer versions as you don’t want to end up with thigh chafe while you are mid-trek. It’s also highly advisable to wear a belt, to protect yourself (and others) from any flashing incidents. Hat/Cap: A lightweight baseball cap like Rohan’s Trailblazer Cowl Cap will provide you with decent sun protection. It comes with zip-away neck cowl, offering a UPF 40+ Sun Protection rating and treated with Insect Shield®. It’s also a good idea to pack a warm, woolly hat as you lose heat from your head and it might be quite cold at the summit. A Buff: I never really appreciated the genius of a Buff until I wore one in Snowdonia. It prevents your neck getting sunburnt and also provides an extra layer of warmth if you need it. You can also pull the Buff over your nose, head and ears if it gets either really windy or dusty. Wool socks: One of the most odious minor injuries during a trek is a blister, so make steps to avoid this and wear proper trekking socks. Merino wool socks are pricy but worth it, and the extra cushioning is a godsend after several days of mountain trekking. Walking boots: It’s much better to have too much protection than too little, so leave the trainers at home and invest in a proper pair of walking boots. If you’re doing any scrambling, they’ll need to have a sold toe to help grip to the rock. Gore-tex boots are waterproof, breathable and windproof, so look at for the logo for extra reassurance. My Scarpa Peak GTX boots withstood soggy marshes, craggy rocks and prevented me from getting any blisters. Waterproof jacket: This is an absolute must for any trek, whatever the season. To keep your bag light as possible, opt for a jacket than can be easily folded up. I wore the Rohan Vapour Trail jacket, which was incredibly light and impressively waterproof – rain droplets wicked off like water off a duck’s back. The jacket can also be folded into its own pocket and squishes to about the size of a CD. Waterproof trousers: On that note, a pair of foldable waterproof trousers is also a good call, especially if rain is forecast. Extra base layers: Even if it’s 30°C at the bottom of the mountain, you’ll need to pack extra layers in case it gets colder (and windier) higher up. I packed the Rohan Troggings Jacket, which is available in a gorgeous dark purple. It was both warm and light, and looked as good as it felt. I also packed my Betsy Crew lightweight jumper, as it works well as a technical mid layer if gets windy at the summit. Spare socks: Trekking with soggy socks isn’t much fun, so bring a spare pair in case you lose an argument against a bog. Water: It may sound obvious, but you’re unlikely to find a water fountain up a mountain so you need to bring some with you. The leak proof water bottles by Nalgene can carry a litre of water, is durable and has a screw top, so leakages are unlikely. It’s also a cheap option, and can be purchased on Amazon for around £10. Snacks: Trekking can be tiring, so make sure you bring some snacks along with a packed lunch, if you are planning a day’s trekking. Bananas, Kendal mint cake and cereal bars (that contain fruit) are all great sources of energy. Suncream: Take at least Factor 30 with you and apply generously even if it is cloudy. You may also want to bring lip balm with added sun protection, as chapped lips will just make you feel dehydrated. First aid kit: Buy a ready-made first aid kit or make one yourself with a minimum of: blister plasters, hay fever prevention (tablets, eye drops), antibacterial wipes, bandages, standard plasters and painkillers. Sunglasses: Make sure they have UV protection and are comfortable to wear. Waterproof bag for your phone/camera: If there is heavy rain, your packpack might not be enough to protect your valuables from water damage. Invest in some waterproof dry bags (like these ones) for peace of mind. Portable phone charger: Smart phones are tricksy when it comes to battery life, so bring a portable phone charger to ensure it will last the day, just in case you need to call the emergency services. Head torch: Weather can change at a drop of a hat when you’re up a mountain, and if a fog descends, accidents can happen. So, take a head torch with you. This can also be a godsend if you it starts to get dark as you return to the base of the mountain. Portable map: Huge foldable maps can be cumbersome, but a portable book that details different walking routes can be very useful. Disclaimer: a big thank you to Rohan for supplying us with some fantastic gear for our trekking holiday in Snowdonia.